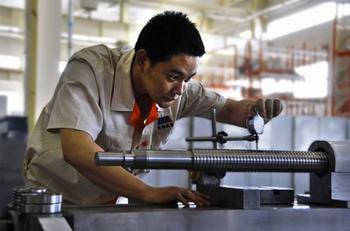 During the rapid development period of the golden decade, the Chinese machine tool industry has seen explosive growth. In recent years, the development of the domestic machine tool industry has slowed down, and many companies have begun to control the growth of the number of employees and even made significant layoffs. The marketing strategy of the machine tool industry and even the entire machinery industry began to arouse people's reflection. Looking at the expansion routes of industrial companies' big brothers in these years, you will find that the original is so uniform. When they see obvious market growth, they often overestimate the magnitude and cycle of growth, and devote all of their input to it, lest their slowness lead to the loss of opportunity. Only a few people can see the existence of opportunities before the opportunities appear, and only a few people can identify the huge risks behind the opportunities. The company's strategy has simply become a frenzied investment, recognizing the "big input, large output, and great development. "The death of reason. When the market was sluggish, most people opted for an optimistic attitude, thinking that the recession would soon vanish and underestimate the long-term weakness. There are many illusions in the domestic market, such as unlimited growth. For instance, when the recession occurs, the government will have X trillion stimulus inputs. For example, the speed will determine everything, such as the scale of nature can produce resource effects. These illusions have encouraged entrepreneurs to constantly look for new spaces, new areas, and new businesses. Rooted development will be seen as unrelenting. Yeah, among the crowds who are full of spirits and spirits, a sober man will be different, and the calm at the moment is a different kind of arrogance. For a time, the increment is better than the stock, and the pan out of the bowl is more violent than the natural tsunami. The value of the existence of an enterprise is not the entrepreneur's ambition and ambition, but whether it has found the place and way in which the customer value exists, and then integrates the internal and external resources to effectively meet the needs. The inward-looking strategic concept is a morbid state. It is a self-talking strategic implication. Only the outward-oriented and customized strategic thinking is the only way for the effective expansion of industrial products companies. The customized marketing strategy, the increase of new customers is a potential opportunity, and the increase of old customers is a strategic cornerstone. Ye Dunming found that: Looking at the re-increment of industrial products companies, there is a strategic formula in mind. They think that the same products, services, and sales methods can satisfy more and similar customer groups and adopt the most cost-effective replication strategy. In fact, the gameplay of freshly eaten meals has not kept up with the changes in the demands of customers' homogenization and internal differentiation. The same sentiment for everyone is no longer considered as a love affair. The fate came unexpectedly. The sales problems of industrial products companies are mostly in the marketing strategy, because industrial product marketing is the overall competitiveness of the system: customer demand is the coordinate, R&D is the driving force, purchase is the value of the upstream, production is the value, and sales is the value of cash. Service is added value. Strategic first-mover advantage can realize the competitive advantage in the market. Ye Dunming believes that in the strategic cycle, the long cycle of service should be used to replace the short cycle of sales; in terms of customer value, customers' lifetime value should be used to replace one-time trading profits; in the scope of competitiveness, industrial chain competition should be used to replace corporate orders. Hard work. For industrial machinery, machine tools and other industrial products, the subsequent consumption value of the product is equivalent to, or even exceeds, the initial value of the product. Customers are particularly demanding in service sectors such as financial leasing, talent development, downstream market expansion, parts maintenance, overhaul and upgrading. In the past, customers used their current cash to buy back equipment, and then get bored and get rich. Nowadays, under the current environment of large economic fluctuations and low corporate positions, the era of corporate profitability has come in an all-round way. Using everyoneâ€™s money and using everyoneâ€™s power to make money for everyone, itâ€™s only The king of industrial marketing strategy. Product sales are just the first realization of the value of the customer. Only with value-added services can we create the second and N-th value. We have to pay for it for many times, and the profits are turned into compound interest. Product sales are like the original investment stocks, and the service has become a never-ending dividend. Domestic industrial companies have no advantage in production scale and no cost advantage. Local market advantages do not automatically mean channel advantages and customer relationship advantages. Only by interpreting customer service requirements can they reject strong enemies and internal security partners. The lifetime value of a customer is not the total amount of the customer's lifetime purchase from you. It should be the total profit that the customer can earn through your products and services. In other words, you have to plan your own customer value strategy and plan in the customer's deserved interest. The former state-owned enterprises were the big nannies of the company's employees. From the cradle to the grave, the management cycle was very long and the value was not high, because everyone was the same in the eyes of the managers. The lifetime value of customers mentioned by Ye Dunming is individual clients and individual treatment. The nanny should be transformed into a steward. The lifetime value of a customer is equal to the life-long revenue of the customer minus the corresponding cost. Just like playing the see-saw, the best way is to make big profits and do small costs. The sub-optimal method is to choose one end. The company's monomer and industrial chain, eating alone or together, it is said that industrial companies need finance most, they also do not understand finance, and they are the most financially fooled and fooled. With less financial outlays, information platforms, upstream and downstream alliances, and other non-corporate forces, the single-minded industrial products company is the Don Quixote. The value of the industry chain has a dominant issue. Whoever can stand on the height of program planning will have the initiative to integrate other brothers. To think about it, the Liangshan Brothers, who are equal to each other, did not separate the hero list. As Guan Xiyue, president of Shenyang Machine Tool, said: Domestic industrial companies have eaten enough to catch up with technology and expand production. They always think that relying on endogenous growth will be able to solve external market problems once and for all. This is actually wrong. From the 36th place in the world's machine tool industry in 2002 to the first place in 2011, Shenji has undergone the second strategic transformation from the production line to the technical line, the technology line to the market line, and has achieved the market-leading world-class industrial service provider strategy. Dreams are already on the road.